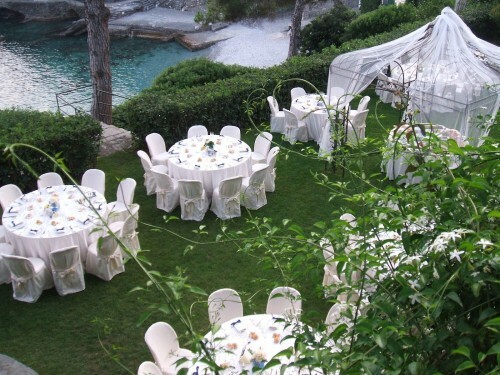 Are you dreaming about a romantic destination wedding in Italy, but don’t know anyone there nor where to begin? 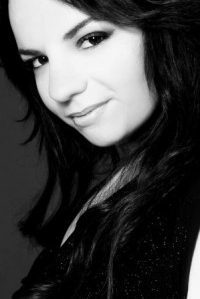 We have found an amazing woman, Carmen Piscina, who owns Le Bouquet Wedding & Event Planner, founded in 2010 and based in Italy. We produce high quality, tailor-made events, each one very personalized according to their individual preferences, budgets and tastes. 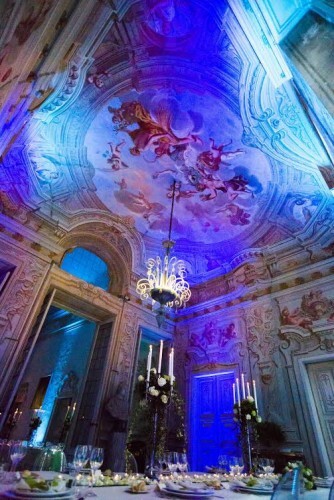 Because of the high quality standard of the expectation and outcome it is in large part due to the uniqueness of our venue selections. Le Bouquet WP manages and coordinates all the event-related aspects including but not limited to food and beverage, flower arrangements, music, entertainment, and photography service. We pay particular attention to the catering service to ensure the food is always of the highest quality. The couple will be supported by professional wedding planners who can assist the client locally in selecting the best solutions without any stress. Le Bouquet listens to your needs, whatever the client’s style—traditional or contemporary, simple or sophisticated, casual or chic—you will have the wedding of your dreams. The staff is present from the morning until the end of your festivities, making sure the entire day runs smoothly. 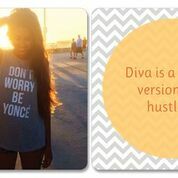 Carmen’s clients are from all over the world, and each request is different, but they all leave satisfied. 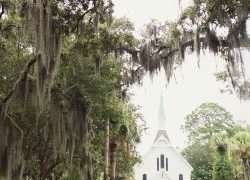 “Most Italians still choose the Catholic rite for their marriage, which means the ceremony must be held in a church with all its specific rules. 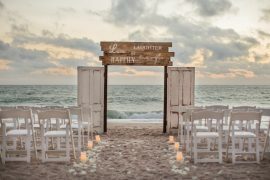 American couples normally opt for a civil or symbolic rite which can be held in any location, indoors or outdoors, on a beach, or in a castle which can provide more freedom in your decorating options. The timing of our clients’ weddings vary quite a bit, from Italians and American: Some Italians choose to get married on Sunday mornings as per Catholic tradition and then have a day reception in a restaurant. Younger Italians prefer to get married on Saturday or Friday late afternoon and then have a night reception and a party which can go on all night. American couples get married any day of the week at any time. They usually choose to have the ceremony in the afternoon and then have an evening/night reception and a dance party. They often ask for a welcome cocktail party the night before and a brunch the day after the wedding. Most of the time, American couples choose a venue where they can stay over and spend time with family and friends before and after the wedding. 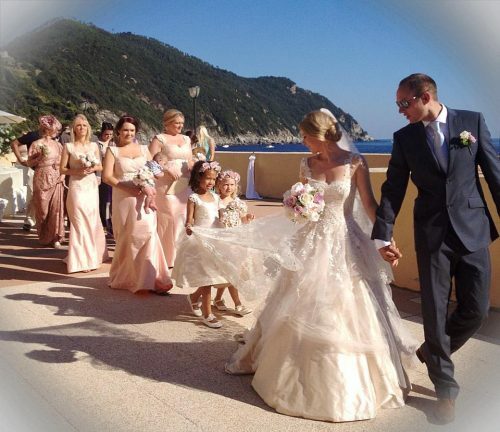 Italian weddings also differ from American ones for the role and number of witnesses; bridesmaids: Italian couples normally have two maximum three witnesses each and one or two flower girls who bring vows. American brides usually have six to seven dressed-alike bridesmaids, a groom party of six to seven guys and flower girls. Carmen is a great wedding planner, graduated from IULM University in Milan, with a Master in Marketing Management at Istud Business School, Stresa Italy, with a lot of experience working in several companies in the communications and event planning. 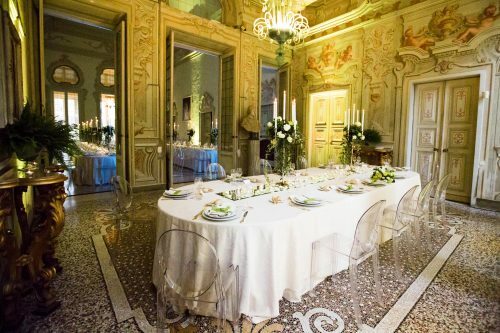 “As a woman working in Italy as a wedding planner it is definitely more complicated than in other countries, because todate wedding planning hasn’t been recognized as a career path. 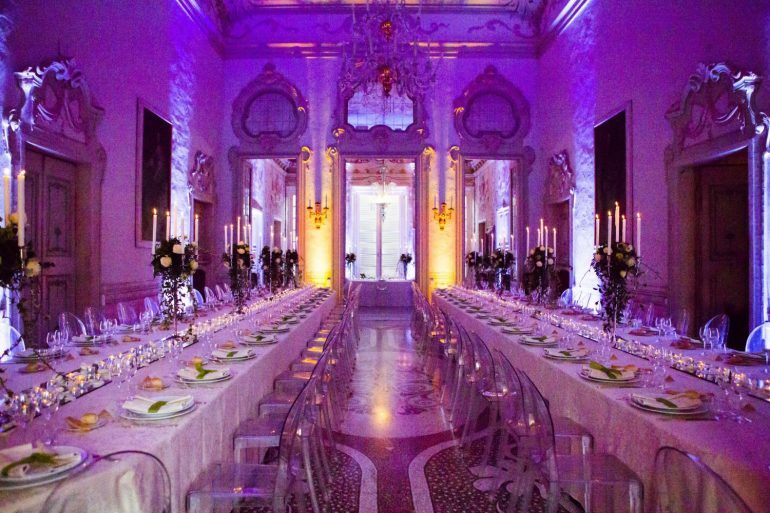 While in the last ten years it’s become more popular—in part via television and movies, but the government hasn’t regulated this industry; therefore, be cautious when choosing an Italian wedding planner. Carmen and her highly qualified staff have broad international experience and are growing annually in staffing and global reach with reliable strategic partners. 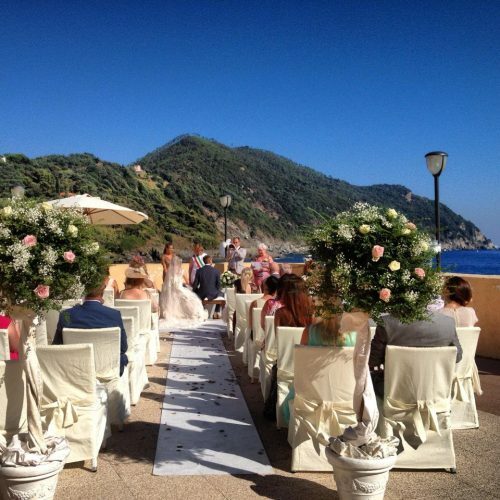 The great news you can get married in Italy and Le Bouquet can create the wedding of your dreams—large, medium or small, luxurious in exclusive locations or understated on a quiet hillside. “It all depends on the type of wedding the bride and groom have in mind. Le Bouquet can coordinate all or a portion of every element of your celebration weekend and make your dream come true.